Posting this as a DIY inspiration for others. So I do most of my airbrushing indoors (away from wind which carries dust, dirt, hair, and so on all over my fresh paint jobs) and I've recently moved away from airbrushing tamiya acrylics and ventured more into enamels and lacquers. As a result something had to be done about the fumes - apart from the horrid stench of enamel thinners and the toxicity of lacquer thinners, I find even lightish exposure to them can trigger my migraines, which is obviously not high on my list of "things I want to do today. 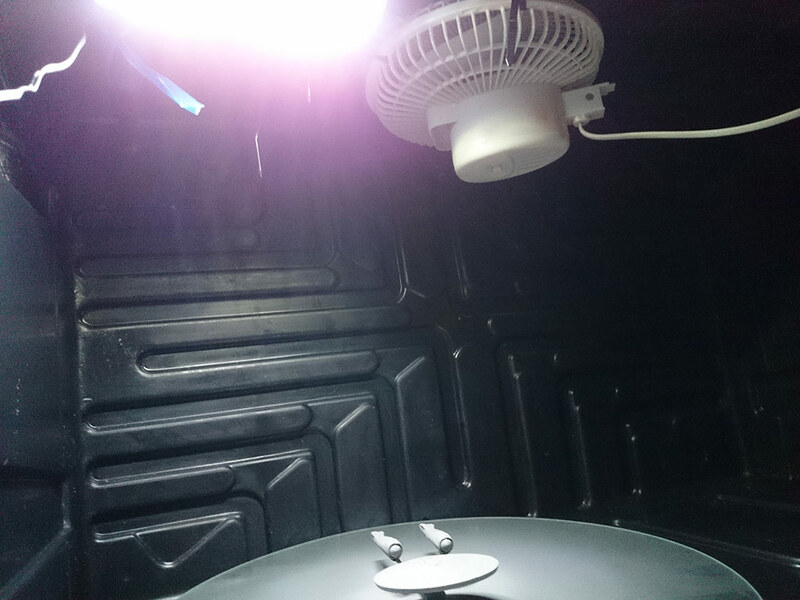 Solution: BUILD A SMALL SPRAY BOOTH. My girlfriend donated the lazy susan - otherwise it's a black plastic tub with a hole cut out of the "ceiling". Attached to that is a desk fan blowing air upwards, which results in air being pulled through the box from the open front and exiting via the fan. The light is a low-power LED fitting from a Fluval Edge aquarium that wasn't getting used. It's quite bright for how small it is. 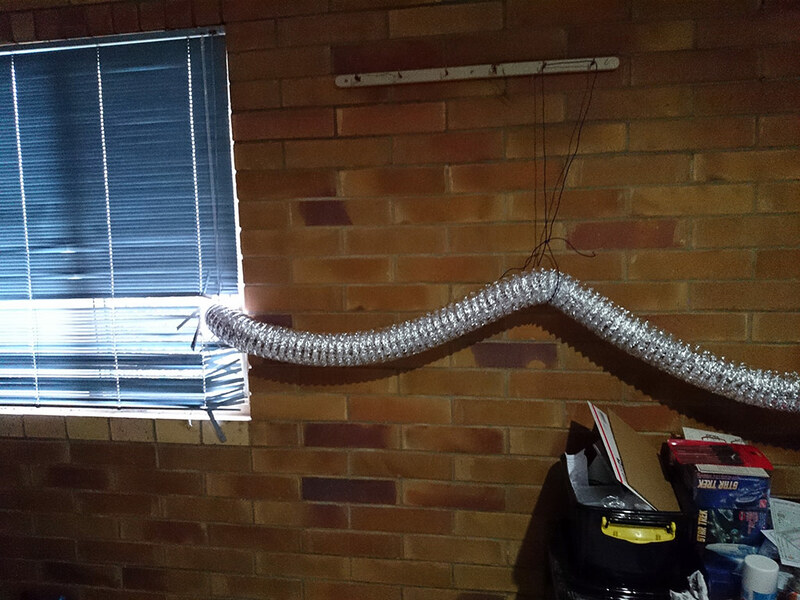 This duct goes outside. The little desk fan actually manages to move quite a bit of air through it. Total cost: $16 for the ducting and the bracket to attach it to. The rest of it was just stuff I had lying around the house. Result: a significant decrease in the odour and fume exposure. You can still smell it a bit, but you're no longer in any danger of being suffocated by the stench or vapours. It's not perfect, I highly doubt it'd compete well against a professional spray booth, but for $16 nobody can really complain that it wasn't worth it. 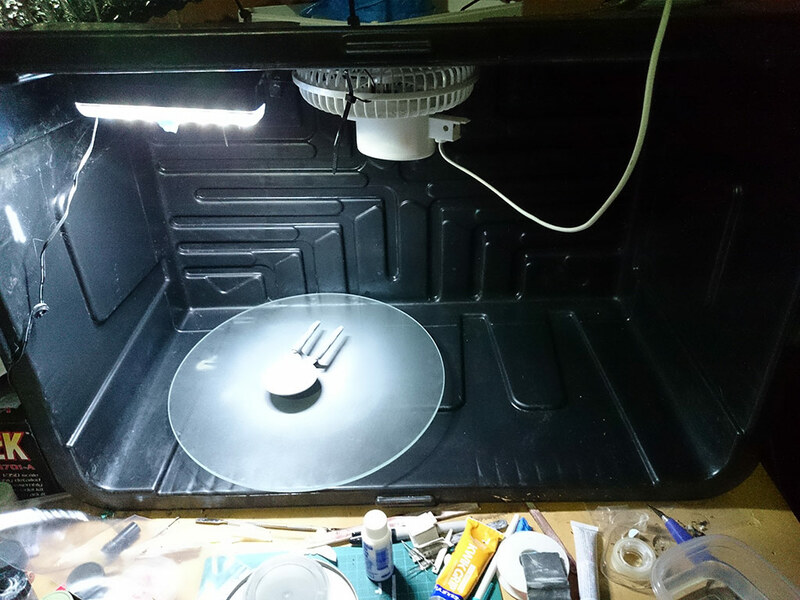 Re: Built myself a small spray booth. Now that's using your noggin. I just can't see why so many 'professional' spray booths you end up having to pay through the nose for. Moongrim wrote: Now that's using your noggin. I think a lot of time you're paying for the privilege of not having to construct/engineer it from scratch. To be fair, a lot of pro paint booths are almost over-engineered and are pretty damn good at what they do. Once I built an over complicated spray booth from foam core board, cut all the pieces to it notched together. I had a slot for a furnace filter on the bottom (the fan sucked from below), a sheet of plexiglass for a sneeze guard kind of thing, and a crazy strong fan I got at a surplus store. It got crushed while moving. I have been considering making a new one, but it will probably just be a large rubbermaid container, a 5v case fan and light I can run off a USB wall wart. Toss in a tamiya turntable... blamo. I might work a furnace filter in there some how to keep SWMBO happy(ish).